The first book of scandalous confessions by the Russian film director Andrey Konchalovsky, “Low truths” is much more than just curios. On its pages the great film-maker reveals his exciting memories from the childhood in his renowned family, from his first steps in the cinema and the problems with the censorship in USSR, his Hollywood breakthrough and intimate relations with famous actresses. “Deception which elevates us is dearer to us than a host of low truths”, said Alexander S. Pushkin. So what are “low truths”? They are something which you know about yourself but which is unpleasant to know, and especially to hear from others. Something which requires thinking, which makes one feel uncomfortable. And on the whole – to grow. Elevating deception does not contribute to growth… Why wasn’t Chaadayev accepted, why was he declared insane? Some people deny him categorically even today. Though he was right in many respects. But he spoke about the “low truths” which created a feeling of discomfort, which were not supposed to be talked about. And so far no one was put to lunatic asylum for “elevating deception”. While enough people suffered for the “low truths”. As a rule, it was exactly for that. And it is not only in Russia where things are like that – no one in the world needs “the frightening truth”. It is needed in order to conceal it. So that a few people knew it and did not allow others to it”. Born to an aristocratic family of Mikhalkovs with centuries-old artistic and aristocratic roots, Andrei changed his first name to Andron and took his maternal grandfather's surname as a pseudonym. He is the brother of Nikita Mikhalkov and the son of Sergei Mikhalkov. He studied for ten years at the Moscow Conservatory, preparing for a pianist's career. In 1960, however, he met Andrei Tarkovsky and co-scripted his movie Andrei Rublev (1966). His first full-length feature, The First Teacher (1964), was favourably received in USSR and screened by numerous film festivals abroad. His second film, Asya Klyachina's Story (1967), was suppressed by Soviet authorities. When issued twenty years later, it was acclaimed as his masterpiece. Thereupon, Konchalovsky filmed adaptations of Ivan Turgenev's A Nest of Gentle Folk (1969) and Chekhov's Uncle Vanya (1971), with Innokenty Smoktunovsky in the title role. His epic Siberiade upon its 1979 release was favourably received at Cannes and made possible his move to the United States in 1980. His most popular Hollywood releases are Runaway Train (1985), based on Kurosawa's original script, and Tango & Cash (1989), starring Sylvester Stallone and Kurt Russell. In the 1990s Konchalovsky returned to Russia, although he occasionally produced historical films for U.S. television, such as the spectacular The Odyssey (1997) and the award-winning The Lion in Winter (2003). 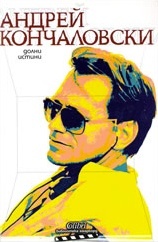 Konchalovsky's latest full-length feature, House of Fools (2003, with a cameo role by Bryan Adams playing himself) set in a Chechen psychiatric asylum during the war, won him a Silver Lion at the Venice Film Festival. Konchalovsky has been married multiple times. His first wife was Kazakh actress Natalia Arinbasarova, with whom he has two sons: Yegor, born January 15, 1966, and Stepan. His second wife was Irina Kandat. His third wife was Viviane Godet, with whom he has a daughter, Alexandra Mikhalkova, born October 6, 1971. After he came to America, while being jobless, he lived with Shirley MacLaine, then left her for Nastassja Kinski, who helped him secure a contract with producer Menahem Golan for Maria's Lovers. His current wife is the Russian actress Yuliya Vysotskaya.